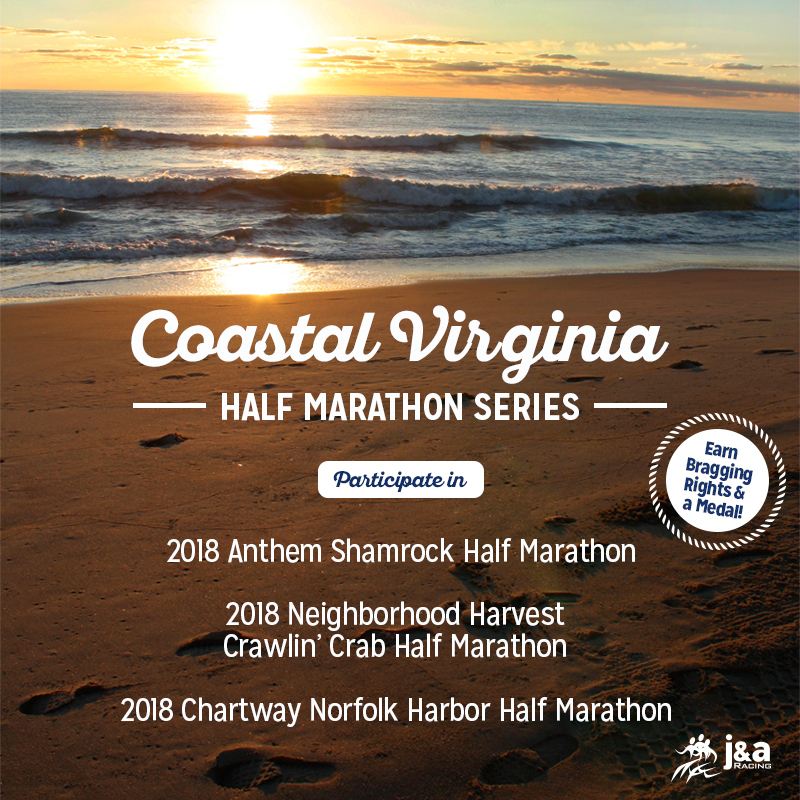 Join J&A Racing for the Coastal Virginia Half Marathon Series. Participate in all three Half Marathon events and earn a special medal. All you have to do is register for each separate event, and you will automatically be added to the series. Click the links below to visit the event pages and register today. In order to be eligible, you need to be registered for all events by November 1, 2018.